The EAFRD has funded an investment in a mobile fruit processor making juice in the orchards of producers 'while-you-wait'. This has enabled the processing of fruit previously going to waste and generated complementary incomes. The company Ebe plant is situated in Gränna at the slopes towards west and the lake Vättern. The climate in the region is favourable for growing fruits, particularly apples and pears. But in many private gardens most of the fruit was often left as waste. 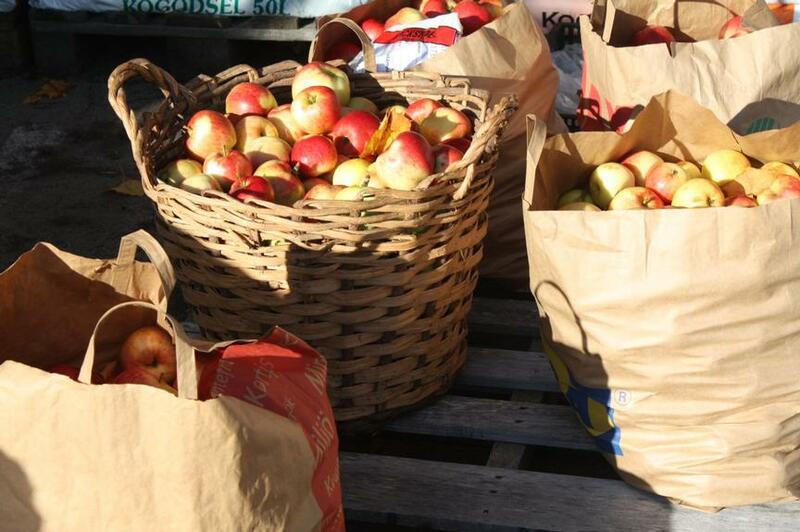 Very few had possibilities to collect the fruit and send it to be processed nor the resources to do it themselves. The main objective of the project was to make use of local fruit production, offering a local product, generating new income possibilities to people and creating a new job opportunity in the region.. The main activity was the purchase of fruit processing machinery and installing it in a trailer. The mobile equipment is able both to press the fruit, pasteurise the juice and pack it in hygenic 3,5 or 10 litres bag-in-boxes, suitable for longer term storage. 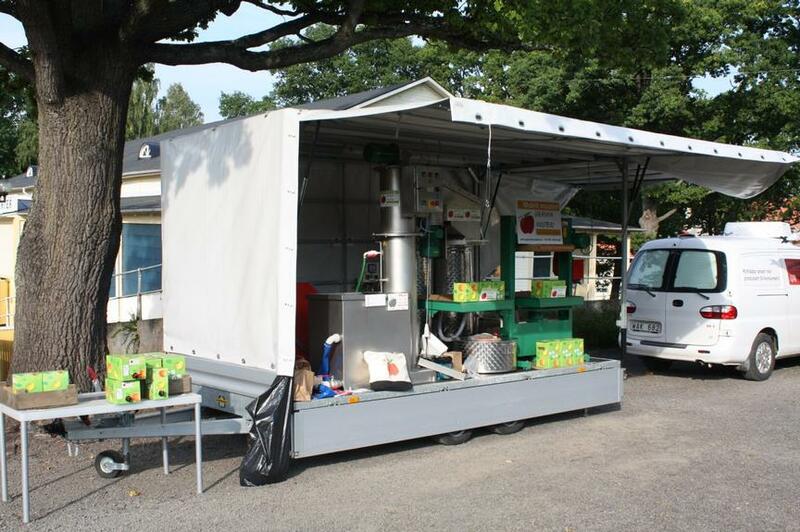 The machinery organised into a trailer on wheels made it possible to offer a service, processing the fruit direct in people's gardens. In the first year of operation, some 20,000 litres of fruit juice were processed from apples, pears and grapes. 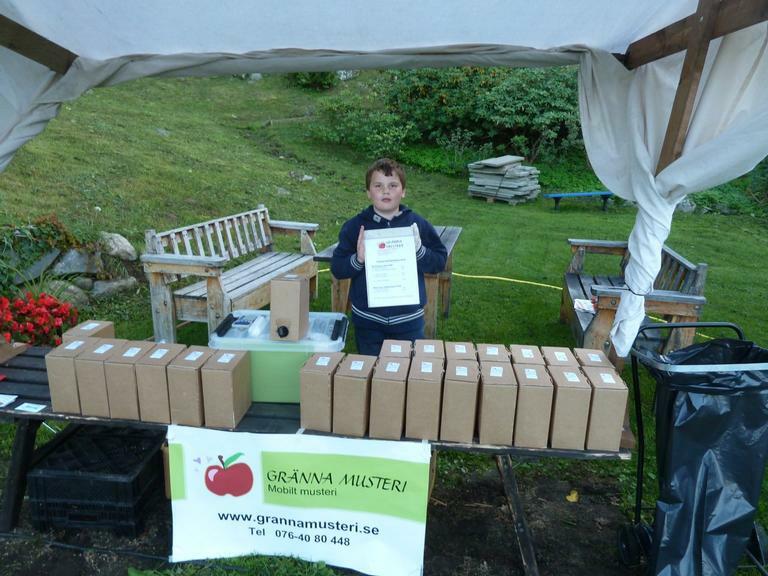 With the income and work load of the fruit processing, the operating company was able to employ one additional person in the garden centre. The fruit processing has created a local product which did not exist before, and increased the utilisation of local primary production. The main lesson learnt was the need to consider and support the business aspects of the project - both in terms of financial and advisory support - not just to consider the physical investment. The beneficiary identified the busines support institute Almi Business Partner which provided valuable advice to the company to implement the project and find additional support for the investments not covered by the RDP.